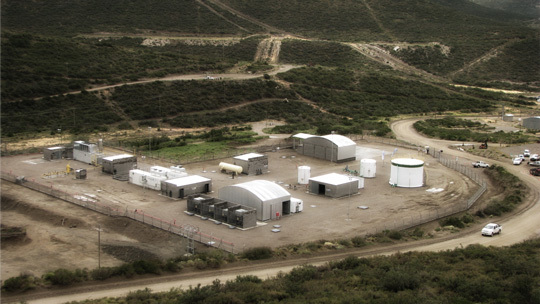 With a view to gaining experience in hydrogen production technology, Hychico has launched two pilot projects involving the construction of a wind park and a hydrogen and oxygen production plant that uses water electrolysis. Both projects are managed independently in order to acquire expertise in each specific field. 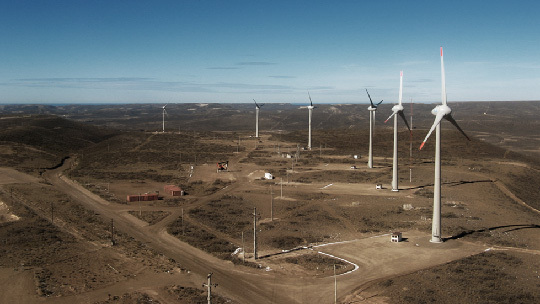 In future, a new wind turbine will be installed that will be directly linked to and exclusively supply the hydrogen plant. 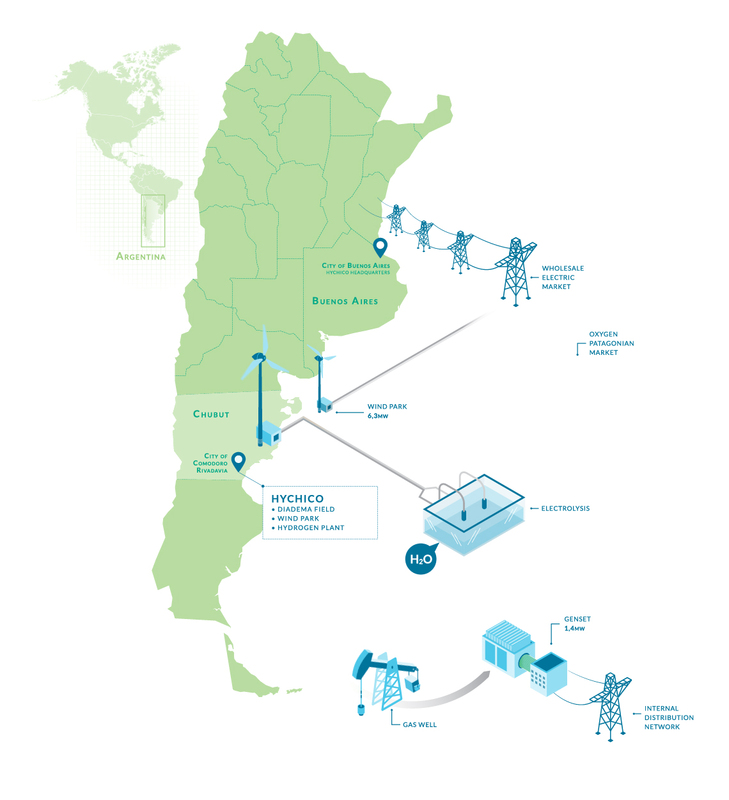 At present, Hychico produces high purity hydrogen, and its wind park generates electricity that is sold to the Wholesale Electric Market through the Argentine Grid.